Based on the Northern Beaches, Interiors by Charlie offers the full interior design service from design concept, right through to furnishing and styling. 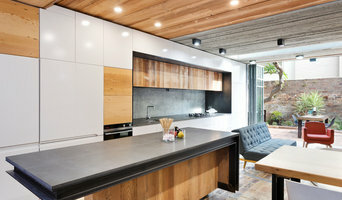 Working on new builds and renovations, or smaller furnishing and styling projects, every job is unique and fulfilling. "My passion is about creating 'Interiors for Living' - simple and beautiful but also functional, and developed around the client's ideas and needs. I take a flexible, and collaborative approach to all my work, priding myself on my commitment to each individual project and constantly striving to exceed my client's expectations." At Issy & H Creative we love great design without the hefty price tag! 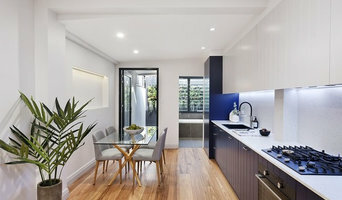 We are a friendly interior design studio based in Sydney, and provide design solutions for those who just need a little advice through to large scale interior renovations. We understand that many projects are budget-driven and are committed to helping our clients create beautiful spaces that are both affordable and also reflect who they are and how they live. Services · colour scheme and finishes selection · spatial planning · custom joinery design · sourcing furniture, artwork & accessories · home styling · event styling · site management We offer a range of design services to assist our clients. Whether it’s a new colour scheme for your home, or a complete interior makeover, we take on each project with the same passion and dedication. Preparing homes for sale An umbrella service which simplifies your project into 3 easy steps: 1. De-clutter (we provide an expert to offer you advice on rationalising your existing possessions) 2. Interior refurbishment (whether your home requires a fresh lick of paint or some serious internal renovations, we handle the design and execution) 3. Property styling for sale (we recommend experienced stylists to put the finishing touches to your home, or alternatively we can offer a budget property styling package - see details below) Budget property styling for sale Ready to put your property on the market but feel that the cost of a full property styling package is out of the question? We offer the following (designed so you can pick and choose the level of our involvement): 1. Free home consultation to review your existing furniture items with a view to re-using as much as possible 2. 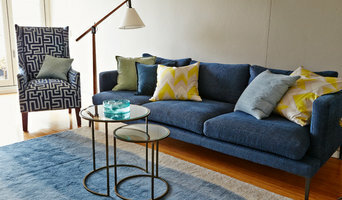 Work with you to put together a new styling vision for your home 3. Provide a comprehensive ‘shopping list’ of items for procurement 4. 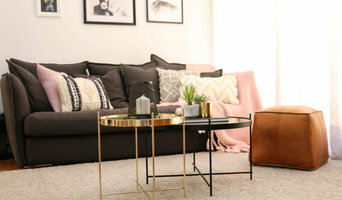 Issy & H styles your home for re-sale (optional stage) Home makeover sessions Do you daydream of a picture perfect home but don’t know where to start? We offer a personal home makeover session with Issy & H’s founder, Joanne. She will visit your home and look at each of the spaces you’d like to improve, giving you tailored design tips, furniture suggestions and renovation ideas. You will also be given a full proof guide at the end of the session to remind you of some essential design tips and tricks. Our big picture thinking is inspirational and multi faceted, always making sure we embody our clients vision with our talents and artistic strategies, that pushes the boundaries. Trentini Design creates spaces that are classic, aesthetically beautiful, relaxed and easy to live in. Collaboration and a shared dialogue results in unique design solutions tailored to individual needs. Achieve your dream home using my knowledge of current trends and timeless interiors. As an independent interior designer Kathryn’s studio, located in Port Macquarie, covers interior design, colour concepts, decoration, product sourcing and styling. Passionate about using contemporary, independent and emerging designers, she loves to create spaces that are classic and aesthetically beautiful yet are relaxed and easy to live in. For Kathryn, working as an interior designer is very much a collaborative process. Moving into other design areas including theatre production, set design and shop-front window design gives her a creative outlet to explore beyond the traditional interior. Developing a greater spatial awareness, honing creative problem solving skills and pushing creative boundaries, these skills translate back into her interiors. Kathryn is a Member of the Design Institute of Australia.